The Pirates have a college-educated singer in their bullpen, and they’re putting him to good use. Before Pittsburgh’s game tonight against the Brewers, relief pitcher Steven Brault stepped up to the plate and sang the national anthem, pulling off a rare feat that was maybe done most memorably in recent years by Wisconsin basketball’s Vitto Brown ahead of his team’s Final Four appearance. The dude’s got pipes! 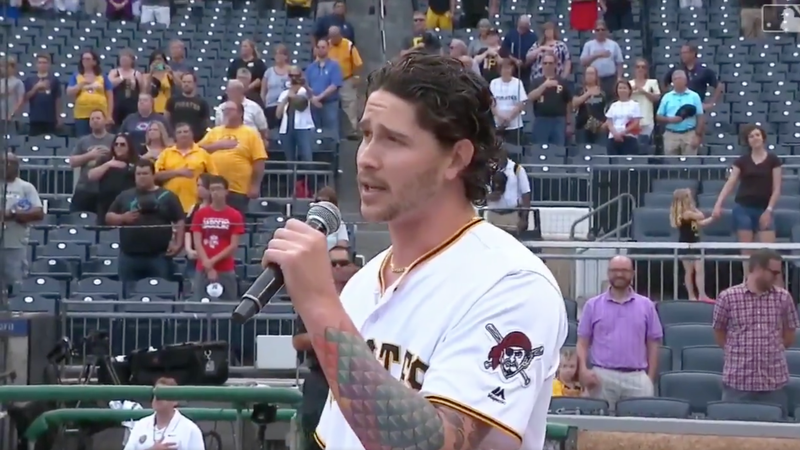 Which I guess should be no surprise since Brault majored in music performance while playing baseball at Regis University, and continues to sing in a band called Street Gypsies. And with a less-than-great early-career FIP of 4.57, it’s probably a good idea for Brault to keep those music options open for now—just in case.